Leonardo Da Vinci Academy offers exceptional elementary programs for children in their formative years which serve as a foundation for life long learning. Our unique and well-rounded programs aim to instil a love of learning and challenge students to develop their whole potential in a manner inspired by Leonardo da Vinci and Maria Montessori. From Grades 1 to 8 LDVA’s dedicated professionals employ proven methods and our unique Da Vincian approach to learning. A principle goal of LDVA is to encourage a love of learning. The Academy promotes the development of independent thinking skills and helps students realize their whole potential. This is accomplished through a well-balanced curriculum of studies in Sciences, Arts, and Humanities and by meeting individual needs. A rich extra-curricular program of diverse clubs and sports serves to further enhance leaning, develop real life skills and responsibility, contribute to a healthy social life and strong school spirit. Enriched current Ontario Ministry of Education guidelines are adapted in core subject areas for all elementary grades. Areas of study include: Language Arts/English, Mathematics, Science, French, Italian, Physical & Health Education, Social Studies, History & Geography, Religion, Guidance, Family Studies, Arts and Music. 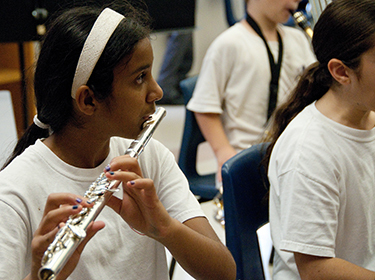 The school program is further enriched by a variety of meaningful excursions at all levels. In 2007 a decision was taken to extend the Montessori methodology into the Primary Grades (Grades 1 to 3). The resulting Lower Elementary Montessori program is a natural progression for our preschool graduates. The primary years are critical to establishing a love of learning, independence, and self-confidence (fundamentals to the Montessori classroom that are in keeping with the Academy’s objectives). Especially in the early elementary years, the Montessori approach is in perfect harmony with the Academy’s “Thinking Like Leonardo” philosophy. Graduates of our Lower Elementary program are very well prepared to make the transition into LDVA’s more traditional Grade 4 programme. 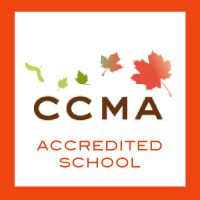 The Lower Elementary Montessori program is a accredited by CCMA -the Canadian Council of Montessori Administrators. The Ontario curriculum is covered through a variety of creative activities that inspire interest, minimize boredom, and promote good work habits. In a Montessori classroom children of various ages are encouraged to work independently at their own level of interest and ability. Actively engaged in their individualized work, the children learn to set goals, manage their time, organize projects, and use resources. In addition to employing advanced Montessori materials, students read and discuss books and express themselves through art, music, drama and poetry. Reading and Creative Writing are daily activities. The program is also enriched with physical education, field trips and specialty teachers including French, Italian, and Music. The objective is to nurture a healthy foundation that will serve as a stepping stone to further learning. Each child is encouraged to become a confident, independent, and self-directed learner who is prepared for life a, not just for a test. The Upper Elementary program at Leonardo Da Vinci Academy includes Grades 4 to 8. Children who complete the Lower Elementary Montessori program will be very well prepared to make the transition into LDVA’s more traditional Grade 4 program. 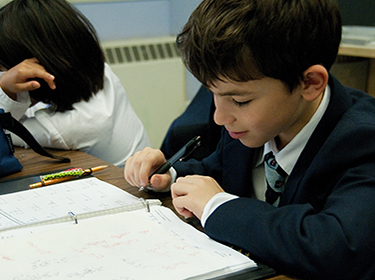 Grade 4 is a transition year when students are exposed to a more traditional program of studies and methodology. Homework, tests, timetables, computers, and texbooks are introduced and incorporated formally into the learning process. In Grades Seven and Eight students are exposed to formal exams in prepartion for High School. Student studies in Upper Elementary encompass a weekly timetable of different subjects including: English/Language Arts, Mathematics, Science, French, Italian, Art, Social Studies or Geography/History, Music, Physical Education, Health, and Family Studies/Guidance. In addition to a core homeform teacher, students will also have other specialist teachers for some of the subjects. Enriching extra-curricuar activities and meaningful excursions complement and re-inforce the classroom learning. Students are given many opportunities to develop time management, public speaking, and “Thinking Like Leonardo” skills. Italian Studies: The Academy’s unique Italian Studies program provides both intellectual and cultural enrichment for students at all levels. The study of the language of the Renaissance is a valuable background for careers in Music, Fine Art, Modern Languages, Architecture, Design, Linguistics, and International Affairs. On August of 2005, LDVA received official recognition from the Italian government. As a result, qualifying graduates of the Academy may apply for a certificate of equivalency for Italian secondary schools. Religion: LDVA is registered with the Ontario Ministry of Education as an independent Roman Catholic elementary school. Students at all grade levels are introduced to Religion through the Gospel and other readings from the Bible. These are supplemented with exercises from Canadian Catechetical texts and related activities. The goal is to heighten spiritual awareness while preparing eligible students for the sacraments of Holy Communion and Confirmation. The school’s Chaplain, a Catholic priest, serves as a valuable resource to staff and students. Ⓒ 2017 Leonardo DaVinci Academy of Arts and Sciences. All rights reserved.